Here’s another illo I did for a friend of mine who celebrated his birthday in April. He used to get his exercise by being trained in Kung Fu by Shaolin monks! Pretty impressive! 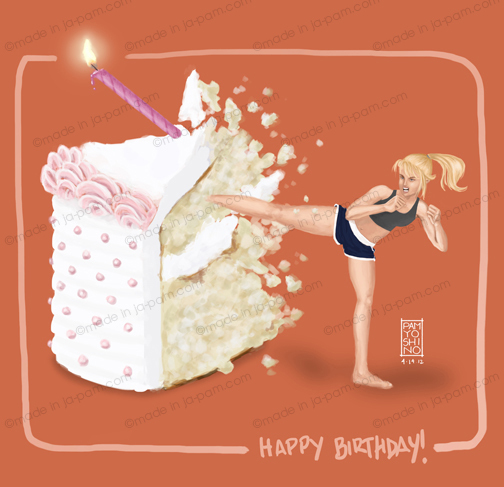 So, I decided to combine the two and came up with a girl destroying a slice of birthday cake with one swift Kung Fu kick!